The House of Representatives has passed Te Awa Tupua (Whanganui River Claims Settlement) Bill through its third reading today. 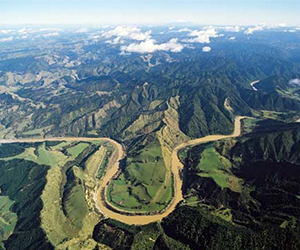 The legislation will establish a new legal framework for the Whanganui River, Te Awa Tupua, which recognises the river as an indivisible and living whole from the mountains to the sea. Te Awa Tupua will have its own legal identity with all the corresponding rights, duties and liabilities of a legal person. Financial redress of $80 million is included in the settlement as well as an additional $1 million contribution towards establishing the legal framework for the river. The Crown will also contribute $30 million towards a contestable fund to further the health and wellbeing of the Whanganui River. “This is an innovative settlement. The Crown is committed to working alongside Whanganui Iwi to ensure the success of this settlement for Te Awa,” Mr Finlayson said.